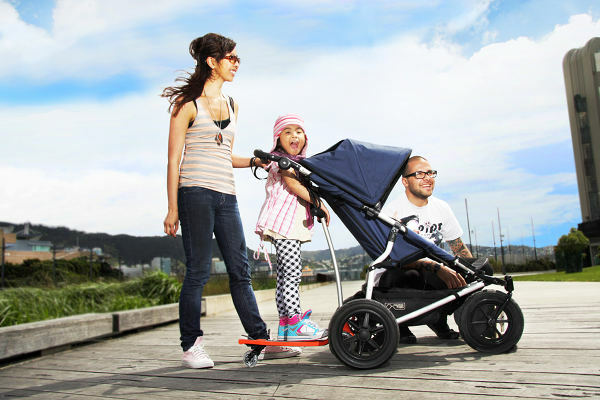 Sneak peek at Mountain Buggy Freerider! Hang on to your hats people because a much-anticipated product is about to hit the market! We first gave you a glimpse of the Mountain Buggy Freerider in September during our coverage of the Kind + Jugend trade show and now this fabulous toddler attachment and removable scooter will soon be in the shops! It won the Innovation award at Kind + Jugend so we’re happy to see it available so soon. Mountain Buggy has just released a video of the Freerider in action and Babyology is one of a select few blogs chosen to feature it first! 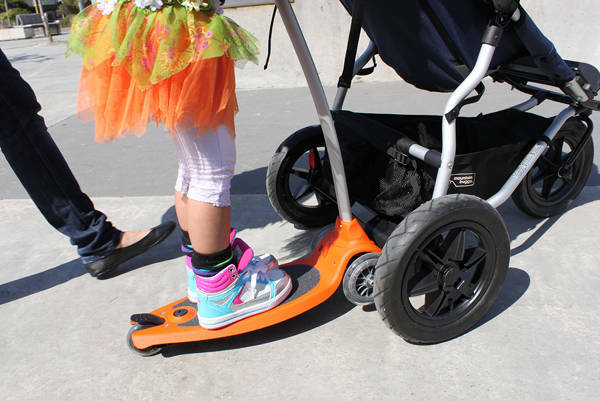 You see in the video how easy it is to use and what a versatile piece it is – buy only once to have both a toddler board and scooter for recreation!